Dr Wang, Senior Advisor of Global System for Mobile Communications Association (GSMA), is an experienced professional in the telecommunications industry and the field of engineering. Prior to joining GSMA, he was Executive Director, Chairman and Chief Executive Officer of China Mobile Limited and President of China Mobile Communications Corporation. 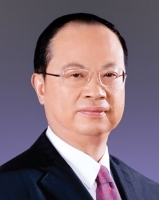 In 2007, Dr Wang was named by BusinessWeek as one of the world’s “Best Leaders of 2006”.